Welcome to our blog page! We post topics that we think will be helpful for home buyers and sellers, so you are more comfortable and confident with the home buying and selling process. Feel free to reach out to us if there is a topic that you'd like more information about and we will happily blog about it! Are you looking for something fun and free to do with friends and family this Spring & Summer? Look no further than the City of St Charles! To celebrate the 250th Anniversary of the founding of St Charles, the City is hosting a Sestercentennial Festival, with a diverse field of events planned. Continue to Explore with Lewis and Clark! Print out and color your very own Flat Lewis and Clark and take them with you wherever you go in St Charles or on your summer travels. Share photos with them on social media with the hashtag #stc250. 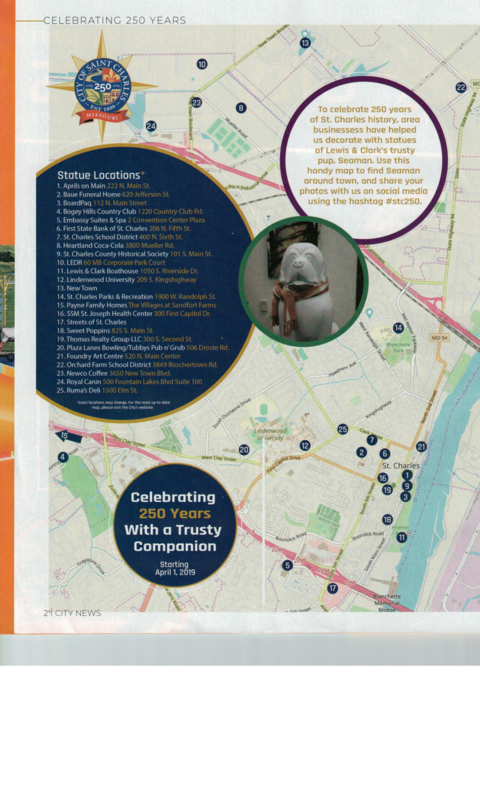 Print a copy here, or pick one up at the Greater Saint Charles Convention and Visitors Bureau, located at 230 South Main Street. Enjoy the Festival! Mark your calendars for the weekend of May 18 and 19, as the festival happens in Frontier Park and Historic Main Street. The celebration kicks off with a parade featuring 25 floats and groups, each depicting a decade of the City’s history. Actors portraying influential figures like Mary Sibley, St Rose Philippine Duchesne, Archer Alexander and Louis Blanchette will be strolling the streets for you to meet. Historical demonstrations and more fun events will help visitors understand the rich history and many changes that have taken place. The festival runs Saturday from 10:00AM to 6:00PM and Sunday from Noon to 5:00PM. Check here for parade routes and more details. Kids, teens, and adults will find something fun to do! See you in St Charles! Take a short drive just about anywhere in St. Charles County, and definitely in Western St. Charles County, and you are bound to find the telltale signs of new construction homes: Homes in framing with house wrap, cement trucks, cranes, and tradesmen. Oh yes, and mud, lots of mud. 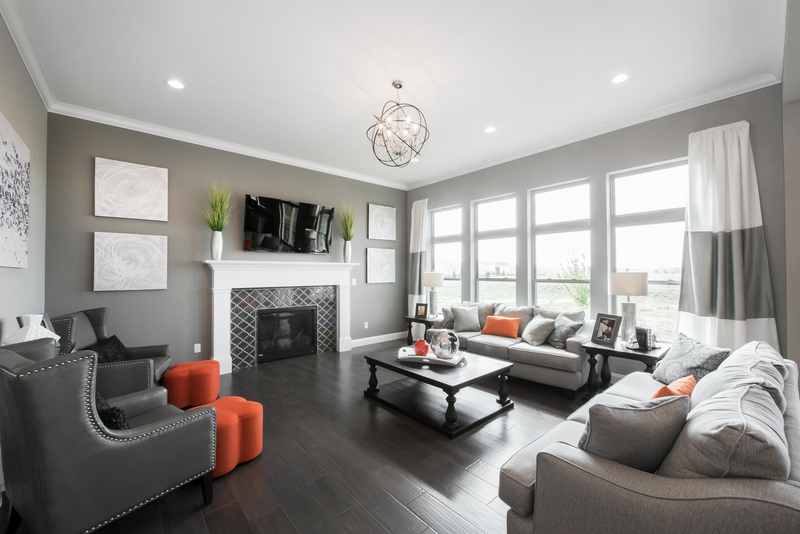 Some of the fastest growing communities within Missouri, including Wentzville, Lake St. Louis, and O’Fallon, still have undeveloped land that builders are snapping up as new construction homes continue to be in high demand. We regularly provide new construction training for all of our team members to best equip our agents with building expertise which translates into added value to our buyer clients. In 2018, 20% of the buyers that we served chose to build new construction. Because of our commitment to training, our agents are powerful advocates throughout the home-building process; they provide insight during design and selection, expert skill during contract negotiations, and advocacy as the home takes shape. Our buyers choose new construction for many reasons. Sometimes they can’t find what they are looking for in a resale home, sometimes they want to create a home where every feature is customized to their preferences, and a lot of the time they are looking for a home where everything is new with the newest products and innovation to give them many years of very low maintenance and an energy-efficient home. 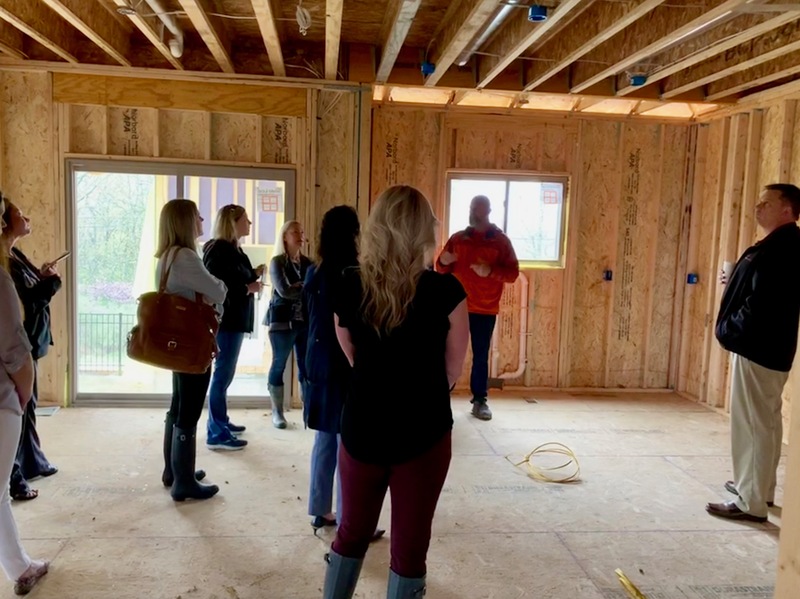 Yesterday, we had the privilege of a new construction “Hard Hat” tour and training by Lombardo Homes to better understand specific behind-the-walls construction techniques, standards, and products used in the Lombardo Home’s construction as they build a high-performance home. 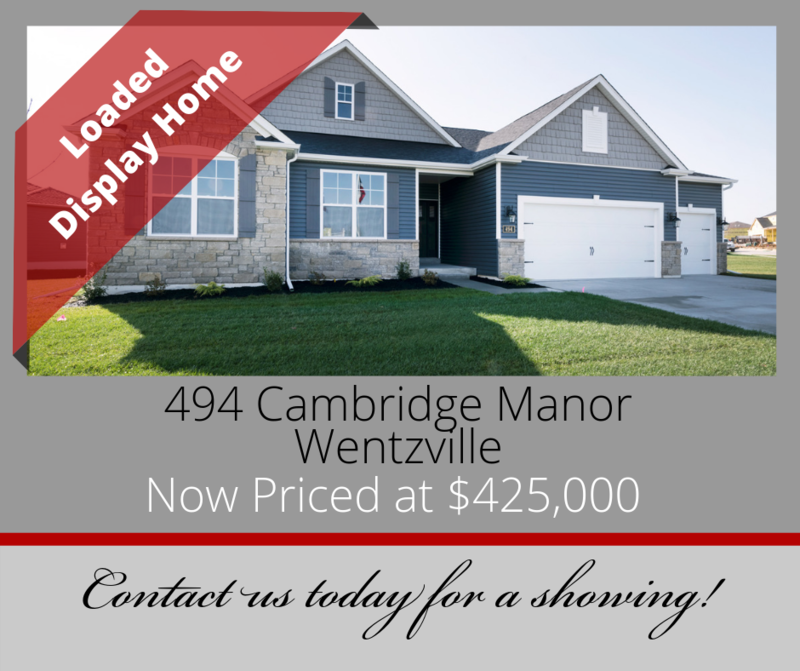 We started off in their brand new display home in Cambridge Falls subdivision just off of Wilmer Road in Wentzville. 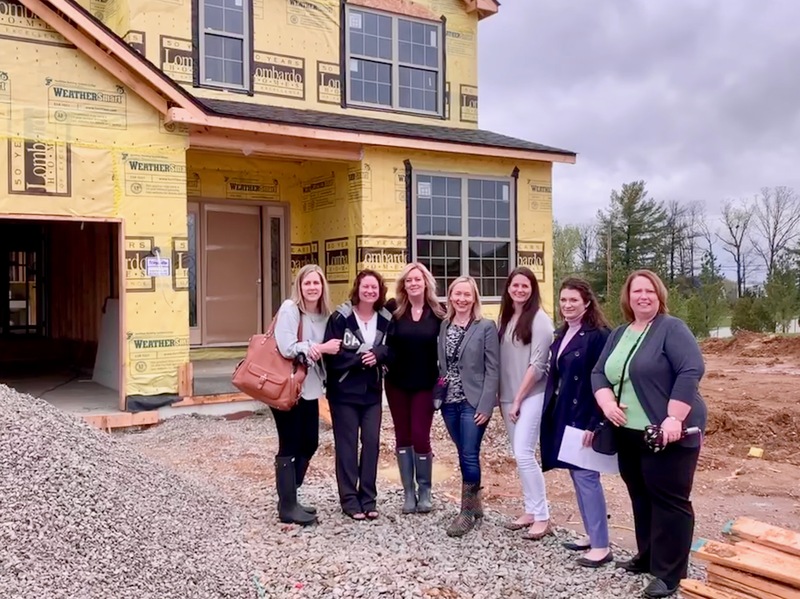 We also toured two inventory homes in the framing and drywall stage in the same subdivision, and two just-finished homes ready for immediate occupancy across the street in East Hampton Woods subdivision. The Construction Superintendent pointed out specific construction practices to build an energy-efficient home. We learned about window flashing tape, high-efficiency heating and cooling systems, home wrap, spray-foam insulation, and efficient, well-designed duct systems. The “pros” of having an energy-efficient home are the energy savings and lower carbon footprint, but the “con” is that these homes can be so tight that the builder needs to have a plan for ventilation and moisture control within the home. 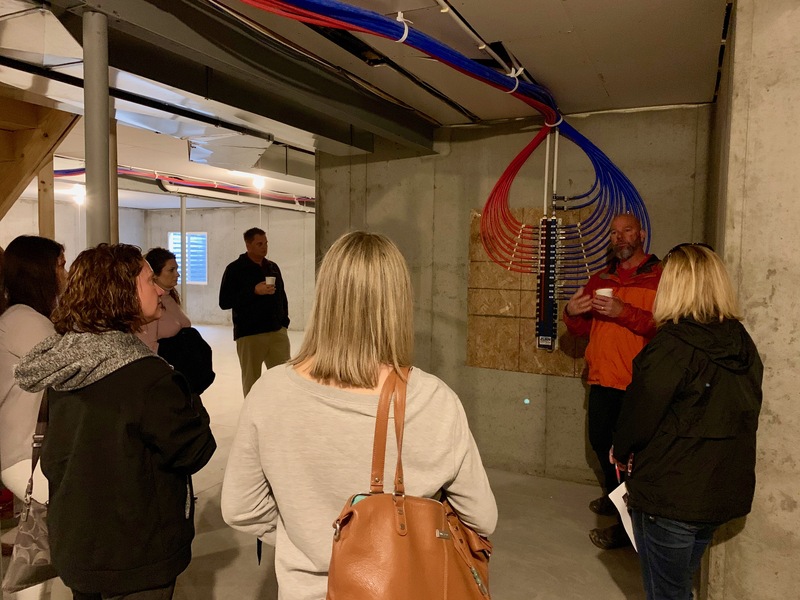 Our training covered humidity controls both in the new construction process and education about what our clients should do and look for when living in the home to ventilate the home, allowing it to breathe. We were introduced to some innovative products currently being built into these new construction homes. Each of these homes had a radon-mitigation system installed to give peace of mind, plumbing manifold system to minimize joints in the water lines, and a behind-the-walls pest shield system. We learned about how builders carefully schedule each phase of construction accounting for best building practices for building a quality home. Sound building practices include allowing appropriate time for the concrete to cure and for the ground to settle before backfilling the foundation. Finally, we discussed the pros and cons of zip strips vs. saw cuts in concrete, as well as using screws to hang drywall, and ways to prevent truss uplift. As a commitment to the neighborhoods, each of the homes that we toured had either an irrigation system already installed or the prep for the irrigation system installed and ready for the homeowner to easily hook up a system. Let us share our expertise with you. Hire us to represent you on your new construction build in a subdivision, on your own land, or in the purchase of an existing inventory home! All five of the homes on our tour are currently listed for sale. 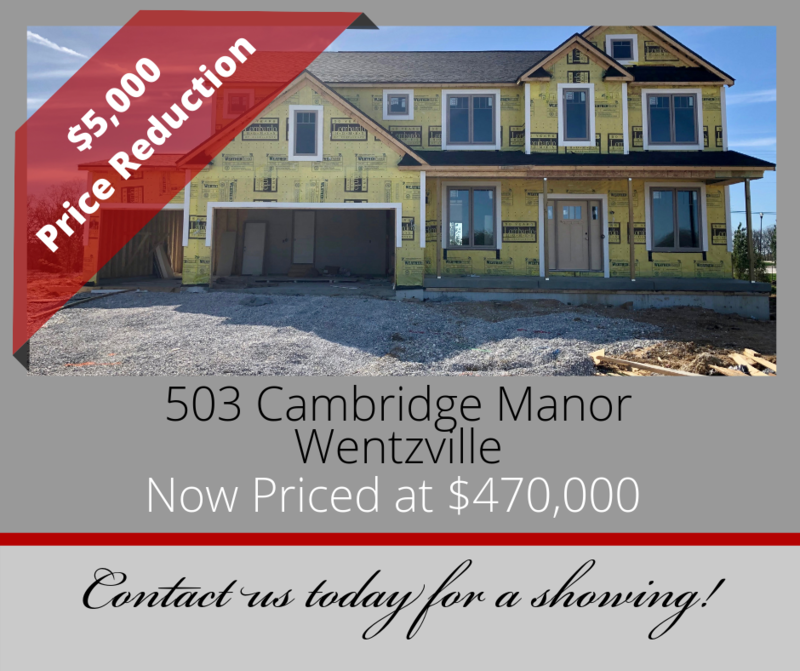 East Hampton Woods subdivision and Cambridge Falls are conveniently located off of Wilmer Road in Wentzville, suburban convenience with a country-living feel. These are the last two inventory homes, and there is just 1 lot left in East Hampton Woods. 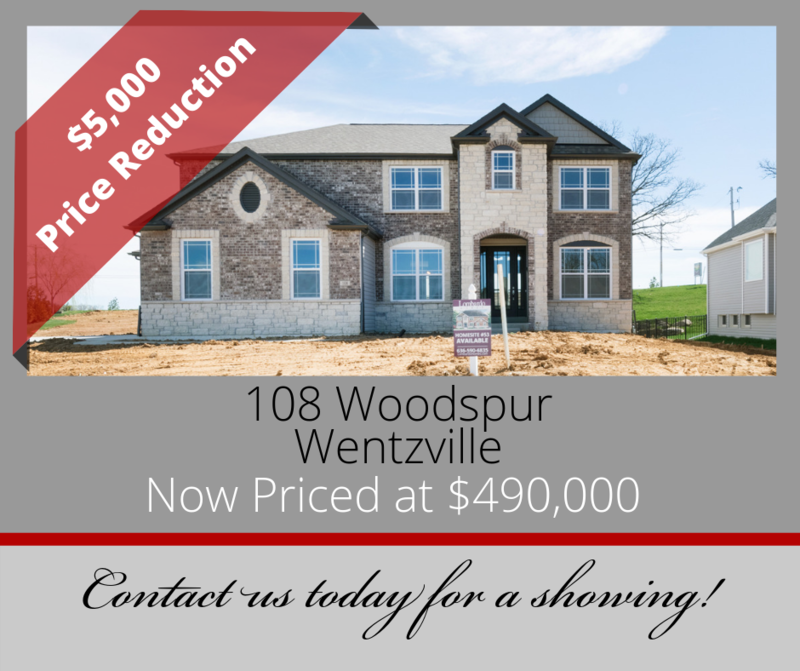 Don’t miss out on these amazing new construction subdivision, one of the few new construction subdivisions with mature trees! The final lots in this subdivision are selling fast! Scheduled for completion in May! Scheduled for completion in June! 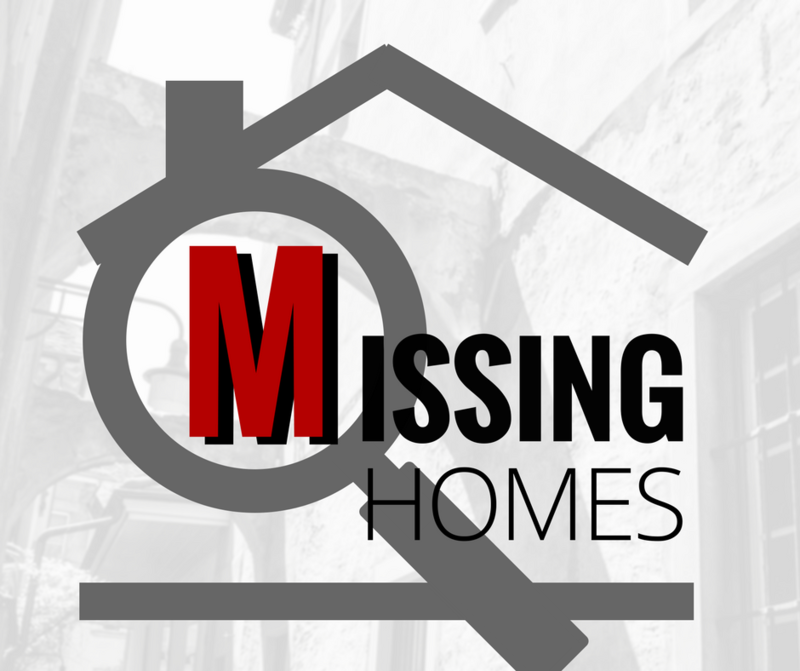 Interested in seeing for yourself the homes that we toured? 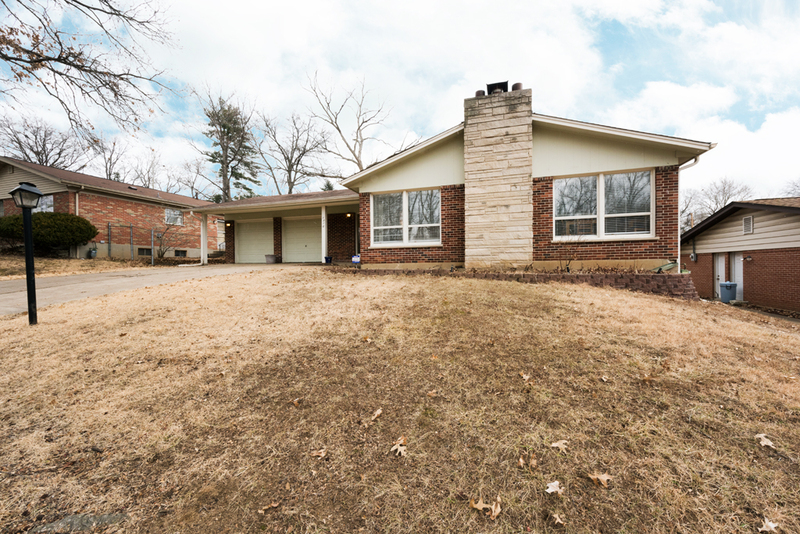 Give us a call today at 636-229-SOLD or contact us through our website. If you are interested in other areas for new construction, either in an established subdivision or on your own lot, contact us to talk about your options. 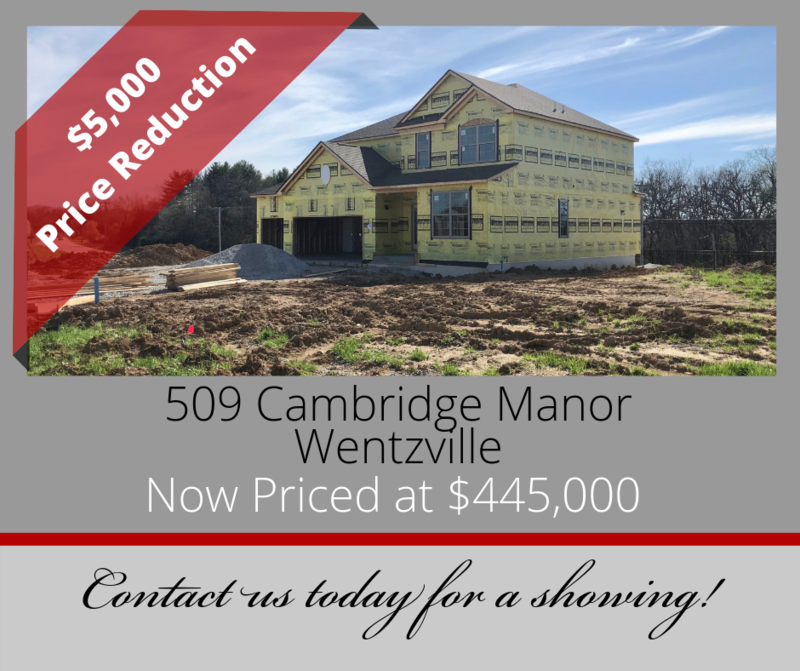 Not all new construction homes are listed on the MLS, so without an expert to guide you on local area new construction builders and subdivisions, you might miss an opportunity. Contact us to help you find new construction homes or to put you in touch with area builders. Ready to make a move? Contact us today for a free, no-obligation Discovery Appointment with one of our Buyer Agents! Not ready for that step yet, well visit our New Construction page which lists subdivisions where area builders like McKelvey, McBride & Co, Rowes, Payne Family Homes and others are currently building. Spring is here, and Spring weather is on the horizon. Trees are doing their best to come back to life with new buds. Bulbs are poking through the cold dirt. These signs of Spring are indicators in real estate that selling season has arrived! Trends show us that the active inventory of homes for sale dips during the Winter months, and that sellers choose to list their home when we put Winter to bed and Spring arrives. Usually in late March our local market starts to pick up on listing inventory. These trends are repeating themselves this year. Although this year, buyers are eager to take advantage of the recent dip in interest rates, and they are in a hurry to do so! The buyer agents on our team are working with the following buyers (real people ready to make a move! ), and the current homes on the market are not meeting their needs and wants. Take a look at this list, and contact us if you are ready to make a move and have a home meeting the criteria below. Or share this list with friends you know that are looking to make a move in 2019! Have You Heard of the iBuyer? They’re Coming Your Way! You know all about iPod, iPad, iPhone, iHome, & iTunes…but have you heard of an iBuyer? If not, now is the time to become familiar, because their advertising will be at your door any day. The term “iBuyer”, short for Instant Buyer, is being used to describe the major real estate corporations who are making cash offers to home owners to buy their homes. Companies like Zillow, Opendoor, Knock, OfferPad and HomeLight are amassing huge pools of money from investors all over the world and in many different industries, including those in the mortgage and insurance fields, and working hard to inform home owners of their programs. So how does it work? While attending the Keller Williams Family Reunion in February, I was fortunate to listen to a panel of real estate agents who live and work in communities like Phoenix and Dallas/Fort Worth where iBuyer offers have become very common. These agents said iBuying sprouted up overnight in their cities in 2018. Home owners who are thinking about selling their home are going online to sites like Zillow or Opendoor and inputting basic information about their homes, often including a few photos. The companies respond within a day or 2 with a cash offer to purchase the home, with a closing date that suits the seller, from just a few days to often as far as 9 months out. The offers are generally around 90% - 92% of the home’s present market value, making it very tempting for the seller, considering they won’t have to clean and declutter their home or be inconvenienced by showing it. Let’s give a real example to make this clearer. Let’s say Zillow says your home is worth $300,000 in today’s market. They will make an offer to purchase it for cash for $270,000, 90% of the market value. They tell you the 10% difference is to cover their closing costs and fees, which are generally not defined. Something to mention, these iBuyers are not looking to buy “fixer uppers”. They want homes that are easy to resell with perhaps just a light cosmetic rehab. If a home needs a new roof, new HVAC or has foundation issues, they most likely will pass. The panelists shared that these homes are being purchased sight unseen with a very lengthy inspection clause. These iBuyers will send a local inspector to the home after their contract has been accepted by the seller to do a detailed inspection. This is where the problems occur. Repairs of the home are not considered in the original offer. The iBuyer is coming back to the seller with a list of repairs, reducing the original offer by sometimes as much as $30,000-$35,000, far less than the home owner was planning to receive. According to the panelists, these contracts state that they can back out of the sale at any time up until the day of closing, so sometimes homeowners are faced with difficult decisions about reducing their sales price after weeks or months under contract. Panelists said that in their communities, only 15% of the iBuyer offers are being accepted by the home owners, and articles in recent business journals seem to back up that claim. Gary Kelman, CEO of Redfin, said recently that most sellers reject the offers they receive from Redfin Now. 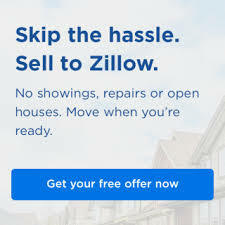 That doesn’t seem to be deterring the companies, as Zillow Offers is currently operating in 6 cities with plans to expand to at least 3 additional in 2019. Within 3-5 years, they have stated they want to purchase 5,000 homes a month and plan to make an offer on a home every 5 minutes. They purchased Mortgage Lenders of America so that they can capitalize on these home sales by offering mortgages on them. At The Chad Wilson Group, we feel one of our most important services is educating our clients. We want home sellers to be aware of the benefits and risks of every offer, including those from iBuyers. There are certainly some situations where an iBuyer offer may be a viable option for our sellers. In these cases, we believe the best way for home owners to manage this process is to let us guide you. If you are interested in learning what instant offers you could receive, let us solicit them for you so you are not bombarded by advertising and solicitations. We will gather offers from as many iBuyers as you like and present them to you as you consider your alternatives. Whether you decide that listing your home on the market or accepting a quick cash offer is the better option for you and your circumstances, we will represent your interests until closing. As of the writing of this blog post, March 2019, iBuying was not yet available in the local St Louis market. Keller Williams is developing an iBuyer program that they plan to roll out in late 2019 which they say will be more advantageous and standardized than those currently on the market. We promise to keep you informed as the details become more available. If you have contemplated moving, and your home fits one of these buyers' needs, please give us a call at 636-229-SOLD or email us at info@TheChadWilsonGroup.com to see if we can make a match! 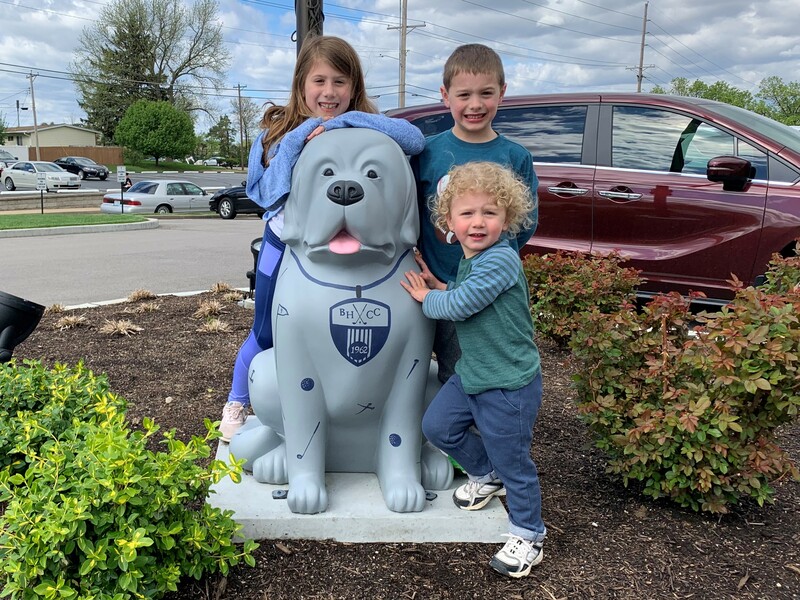 When Jason and Crystal decided to move to the St Louis area to find the perfect school for their son, they knew it was going to be a difficult process. Their current home in Republic, Missouri was over 3 hours away from St Louis and they knew very little about the area. Like many house hunters, their home search started online, looking for homes in their price range. They found a few homes for sale in St Charles County that The Chad Wilson Group had listed, so they picked up the phone and made a call. 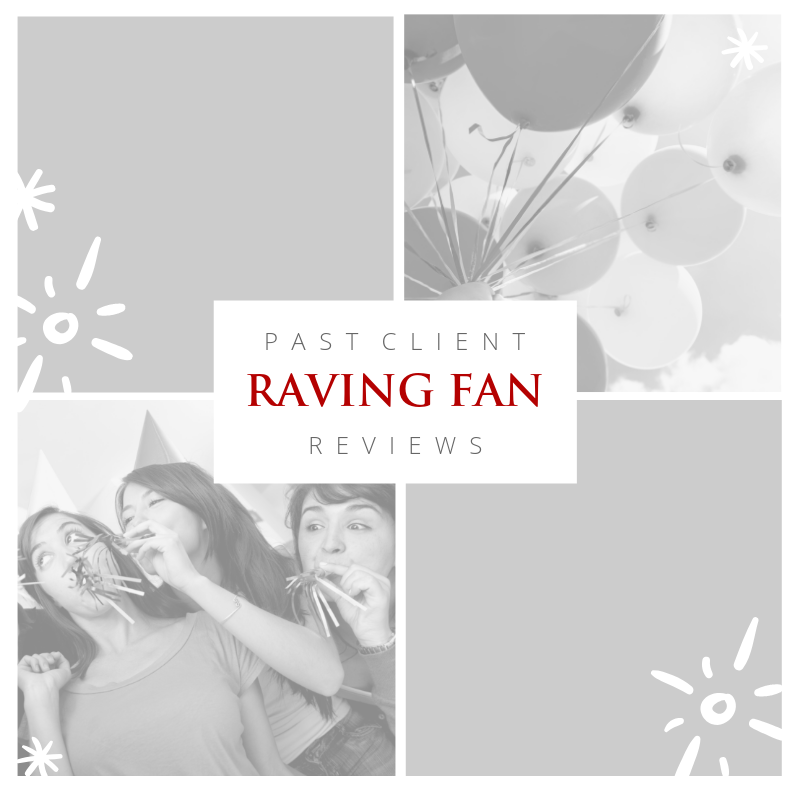 Deneke Bakalar answered their call, and since she lives in Wentzville, Missouri and is such a big fan of that community, she was excited to get to work to find them their perfect home! Deneke toured a few without Jason and Crystal, since it was such a long drive for them, and shared videos of the homes and neighborhoods so they could narrow down the ones they wanted to see in person. They closed on their new home on Valentine's Day! 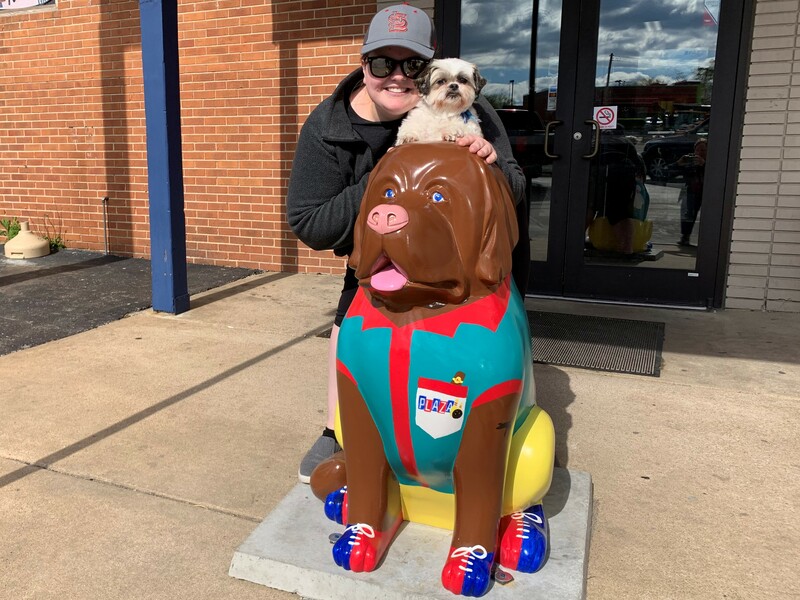 Deneke is excited to help them get acquainted with Wentzville and show them why she loves it so much! A great real estate agent does more than just open doors for you. 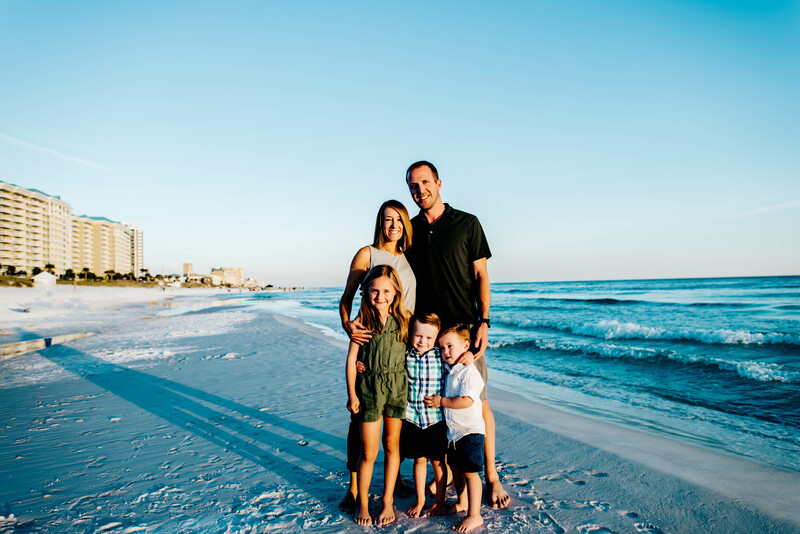 Agents like Deneke who know the communities, school districts and area amenities will work to match you with a home that fits your family's needs. If you or someone you know is looking for a 5-star agent to guide them through the process, call Deneke at 636-229-7553. She can't wait to get to work for YOU! Moving into a new home is a thrilling experience, but it's also one that's wrought with challenges. Not only do you need to find the time to sort through and pack all your belongings, but you also need to make sure that you're not forgetting any important details like changing your mailing address, or setting up utilities for your new property. Once you've purchased the perfect home with your trusted real-estate agent, it's tempting to jump straight into the moving process as quickly as possible. However, before you get started, make sure that you follow these top tips for a successful move. Your real-estate agent is there to help with every part of the home buying process - not just the paperwork and open houses. Before you start getting carried away with packing, and cleaning your current home for a sale, ask your REALTOR® how long they predict it will take for you to get the keys to your new home, and start the move-in process for real. With advice from your REALTOR®, you'll be able to create a more realistic schedule for when you need to start packing and switching on your water in your new home. You'll be far less likely to end up rushing around last-minute. There are a lot of things that you need to deal with when you're moving home. You need to ensure that your gas and electricity are switched on by the time you've moved in and that your buyers are ready to take over paying for your old home before you can start settling in and decorating your new property. The easiest way to give yourself some extra time and minimize the stress on your shoulders when you’re moving is to work with a professional moving company. Be sure to choose one that’s got insurance though, otherwise if anything gets broken you might be left reeling. Some moving companies will even handle packing on your behalf, which means that you can focus on the other, more complex parts of the real-estate transition. If you’re looking for a moving company that’s licensed and insured, try our friends at Bellhops. Whether you're moving to a larger house to accommodate a rapidly growing family, or you're downsizing after a child has left home, there's a good chance that you won't want to take everything from your old property with you to your new home. With that in mind, it's a good idea to start sorting through your belongings as early as possible. Though it's impossible to eliminate all the stress from a move, that doesn't mean that you have to spend every moment feeling overwhelmed. Ask for help when you need it, even if it just means having someone take over the packing for an hour or two so you can check out your new neighborhood with the kids. Look for ways to make your moving experience as stress-free as possible. For instance, can you take some extra days off work to pack and unpack? Could you pre-cook some meals for busy days, so you don't have to spend too much time in the kitchen? Even getting a babysitter for a day or two can take some of the weight off your shoulders. 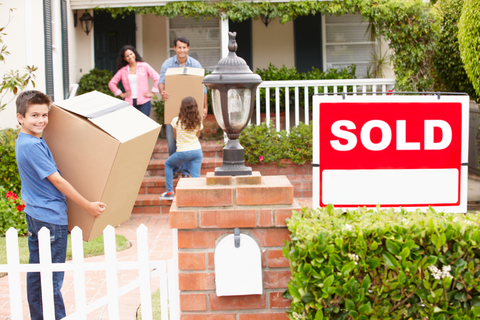 Selling your home in November or December can actually be a very good thing. Decreased competition due to fewer homes on the market combined with buyers who are very serious about purchasing…because you get fewer lookie-loos during the winter…can make for a successful home sale. December is usually one of the most productive months of the year for The Chad Wilson Group. 1. Holiday decorations make photos look dated. 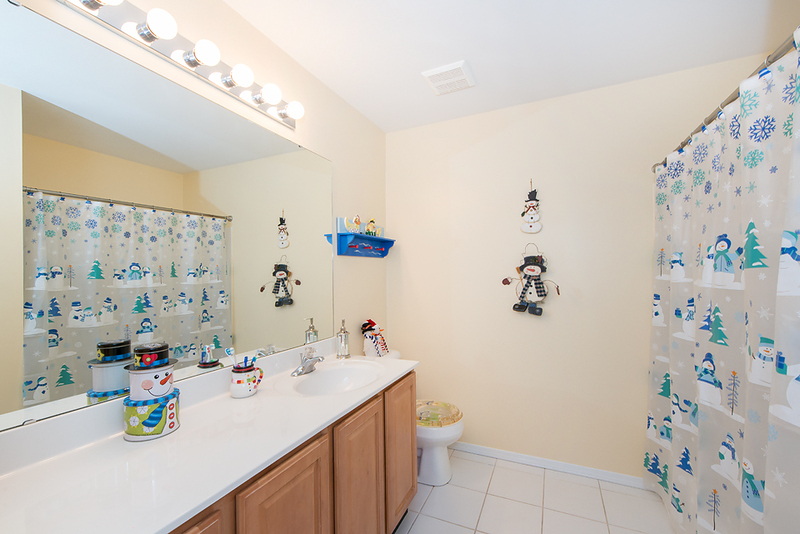 If this home for sale in Lake St Louis was still on the market in April, these snowmen, no matter how much you love them, would make this bathroom look dated and out of place. 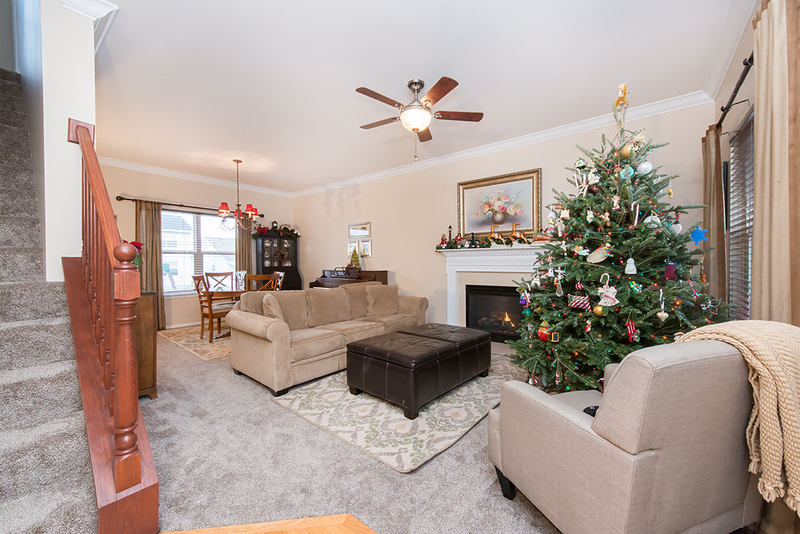 The poinsettia and snowmen cookie jars scream winter in this Lake St Louis home for sale. 2. 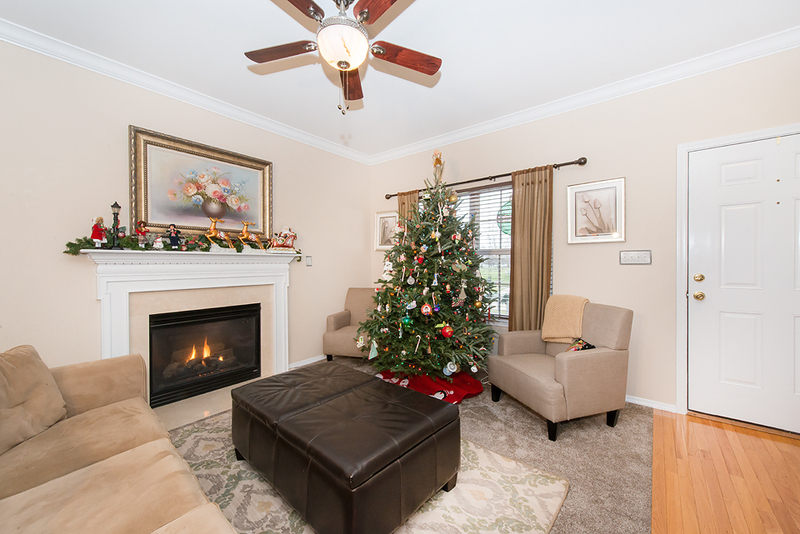 Holiday decorations can block walkways and diminish features in a room. If you have a beautiful wood block mantle, but it is draped in garland and lights, it may not have the same impact on a buyer. A big Christmas tree in front of a bay window looks pretty, but the view out the window is harder to appreciate. 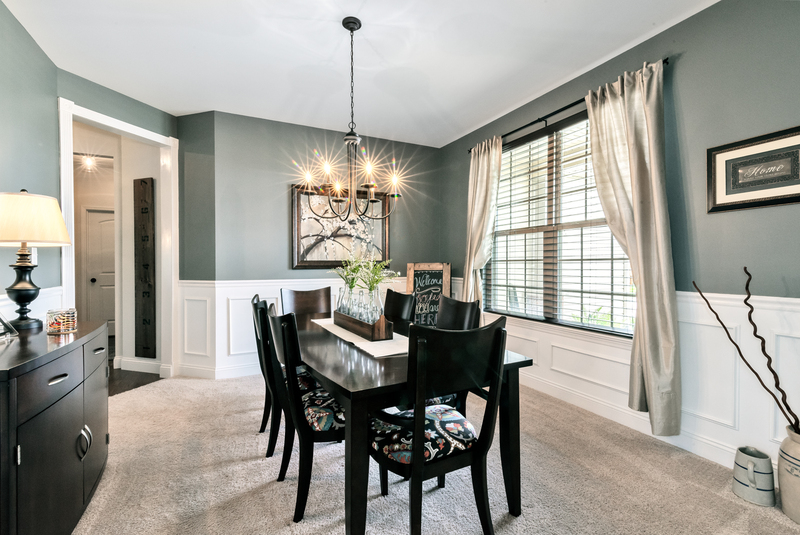 A room filled with decorations can make it difficult for buyers to navigate. Keep decorations small and minimal so that the lovely built-in features of your home can be appreciated. This includes your porch and front door, which you want to feel open and welcoming. This lovely Christmas tree may make the room feel cozy, but it also blocks almost all of the light coming in from the only window in this room. 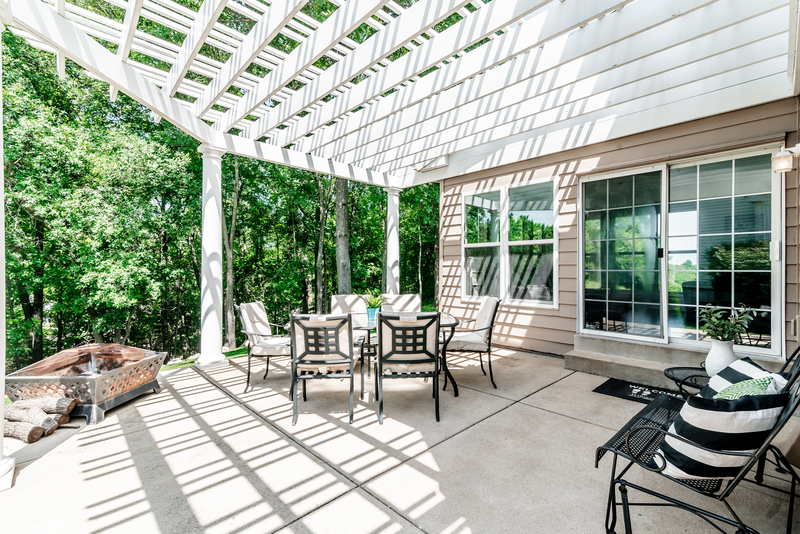 If you have a St Charles County home for sale, you need all of the natural light you can get, especially after Daylight Saving Time comes to an end. 3. Decorations can make a room feel smaller. When we stage a room for photos and showings, we minimize clutter as much as possible to make a room feel spacious and open. Big holiday decorations that block the eye or distract the buyer can make a room feel small and cramped, even if it isn’t. Consider using a smaller Christmas tree that only takes up a corner of the room rather than one that consumes almost half. Minimize the smaller items, like tabletop decorations, pillows, stair railing garland, window clings and the like. Make sure as much light as possible can still enter a room, especially in the winter months when many showings happen after the sun has set. 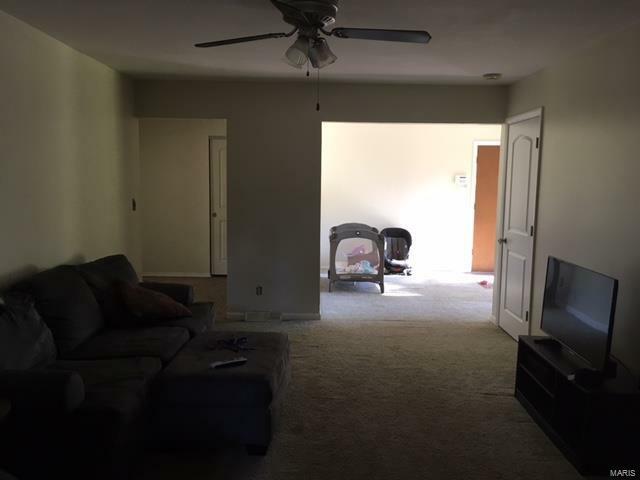 While this living room is open, it isn't incredibly spacious. The Christmas tree cuts off almost half of the room, making it feel even smaller. There is just too much going on in this big, open family room. All of the seasonal pillows and decorations distract the viewer from appreciating the space. 4. Yard ornaments and lights can make it hard to keep a tidy lawn. The curb appeal of your home is where buyers make their important first impression. As much as possible, you will want to maintain the grass cutting, leaf raking and landscape trimming. If you have lights strung on your trees and bushes, it can be very difficult to keep those beds tidy. Big inflatables or other outdoor decorations can be difficult to move so that lawns can be mowed and maintained. Lots of extension cords make a home feel cluttered and messy. Make landscaping as easy as possible while your home is on the market and avoid items that slow down or impede your work. Enjoy the holidays even while your home is on the market, but do it with the buyer’s perspective in mind. Next year, when your home has sold and you are moved into your new place, you can bring out every cherished decoration and celebrate the holidays as much as you like! Here's the Proof! Professional Photography Sold This Home! In our last blog, we introduced our two professional photographers and discussed why we always use professional photos in our listings. 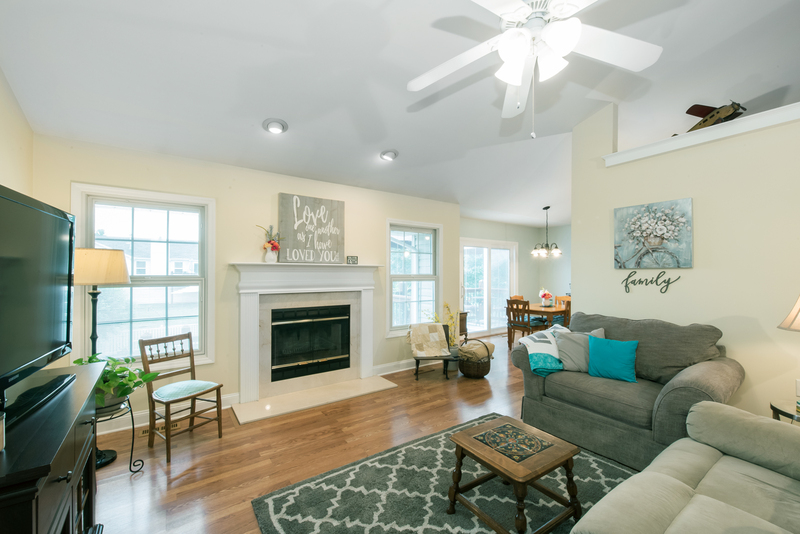 Now we want to show you a real life example when using professional photography resulted in an outstanding outcome for one of our recent home sellers. Don't miss the end where we unveil the difference it made, including more money, for the seller. The Chad Wilson Group received a call from a home owner who was interested in selling her home. She had listed it with an agent, but felt like her home sale was not being handled appropriately. 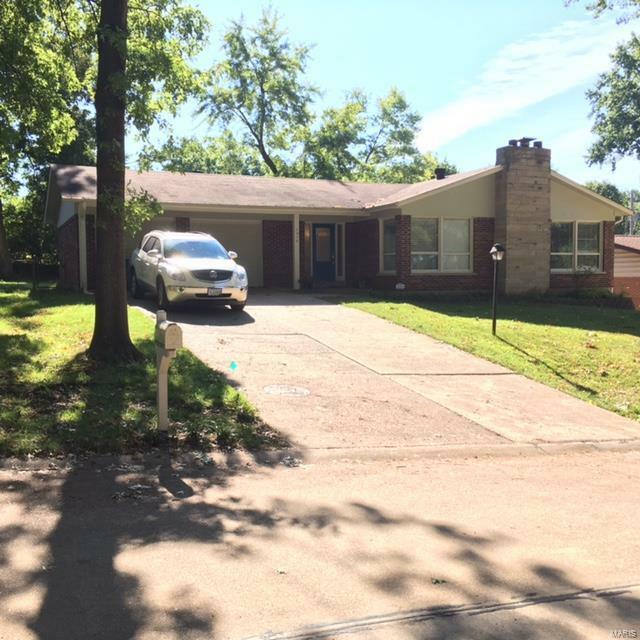 Her home was a 4 bedroom, 2 bathroom brick ranch on a nice lot in a subdivision in suburban St Louis in a price range that should have been appealing to a wide range of buyers, yet she had very few showings while it was on the market. She was frustrated and confused. The home owner had seen Chad's sign in a yard up the street for a home that recently went under contract, so she decided to give him a call to see if he had ideas and suggestions for selling her home. This is the front photo of the home in the original listing. Notice the car still in the driveway, which is something a professional photographer would avoid. 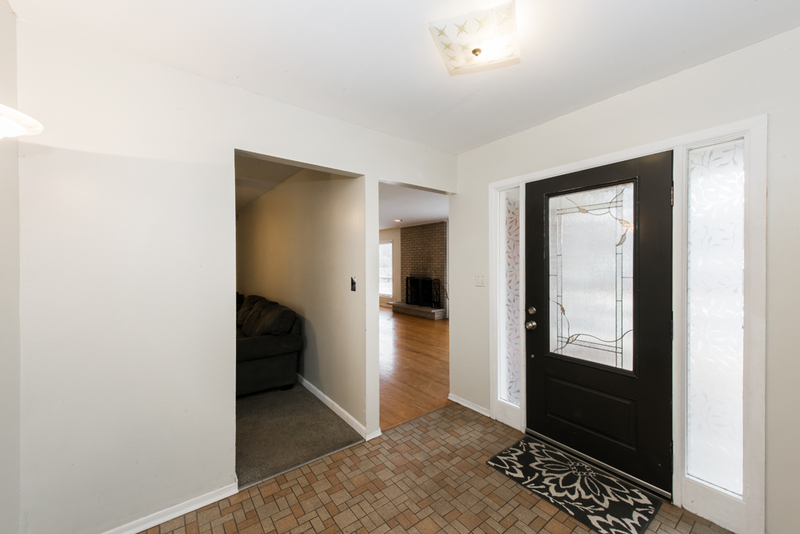 This was photo number 2 in the listing, the entry foyer. It seems dark and small and certainly not inviting. Photo number 3 was of the fireplace. While this is a nice feature in the home, this close-up photo gives no perspective on the rest of the room. Photo number 4, the living room. 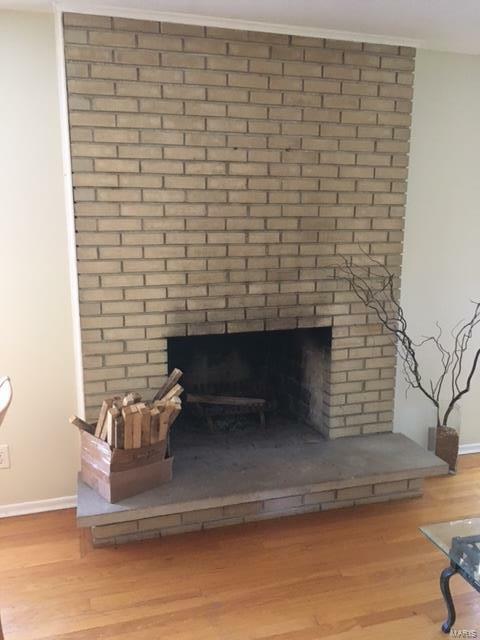 The fireplace is to the left in the photo, but the photo is so dark, you can hardly tell. No lighting was used to brighten the room and the window blinds were left closed. 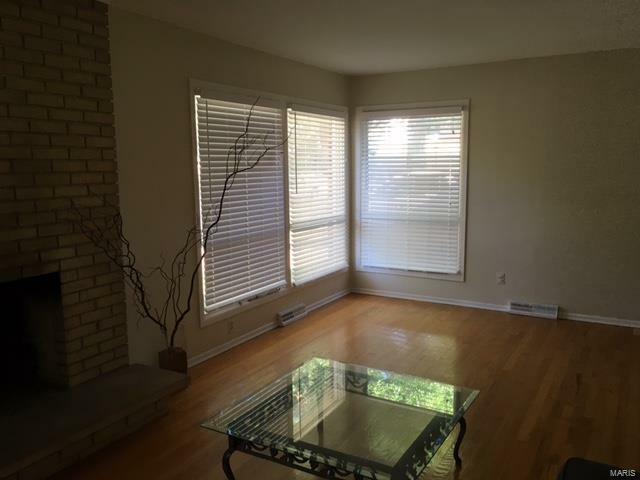 This room actually spans the entire front of the home and has lots of big windows and hard wood floors, but this photo doesn't showcase that at all. Photo 5 is of the kitchen. First, vertical photos do not display as well online as horizontal ones and should only be used when there is no other option. A professional photographer would have cleared the counters, the top and front of the fridge and then staged to present a neat appearance. The kitchen seems small, dark and cramped. 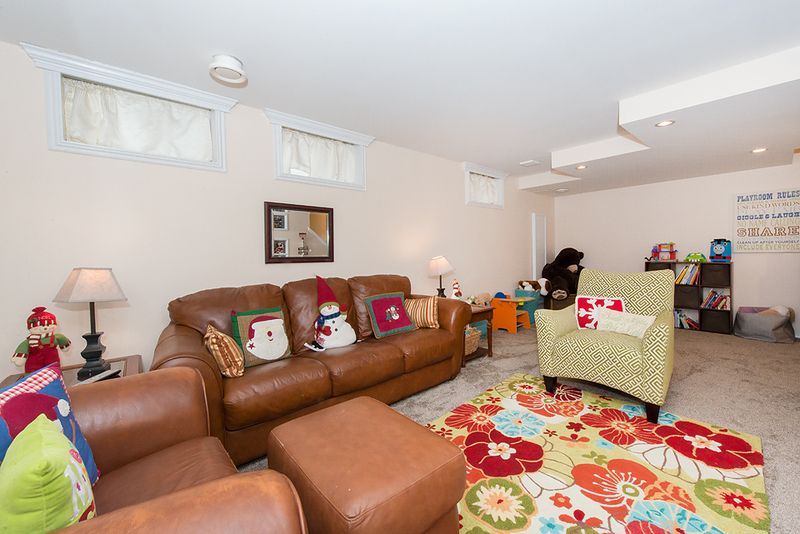 Photo 6, the last photo in the listing, is the family room. This is another big room that loses its appeal with bad angles, clutter and no light. You will notice no photos of the bedrooms, bathrooms or the back of the home are included. Given that most buyers make up their minds about whether to view a home or not after looking at photos online, it is no wonder that in the weeks this home had been listed, it had not attracted many buyers. The Chad Wilson Group hired Pearl Wilson, professional photographer with That Girl Pearl Photography, to photograph this home, and 23 of her photos were included in the new listing. Here are just 11 of those 23. Notice a difference? Here is the professional photo of the front of the home. While some might want to make the grass green or add other enhancements, we choose to take a seasonally-appropriate and realistic photo of the exterior, just keeping it as neat and clean as possible. Here is the professional entry foyer photo. Using a light kit to illuminate the area and taking the photo horizontally with a wide angle lens gave the space a more open and inviting feel. 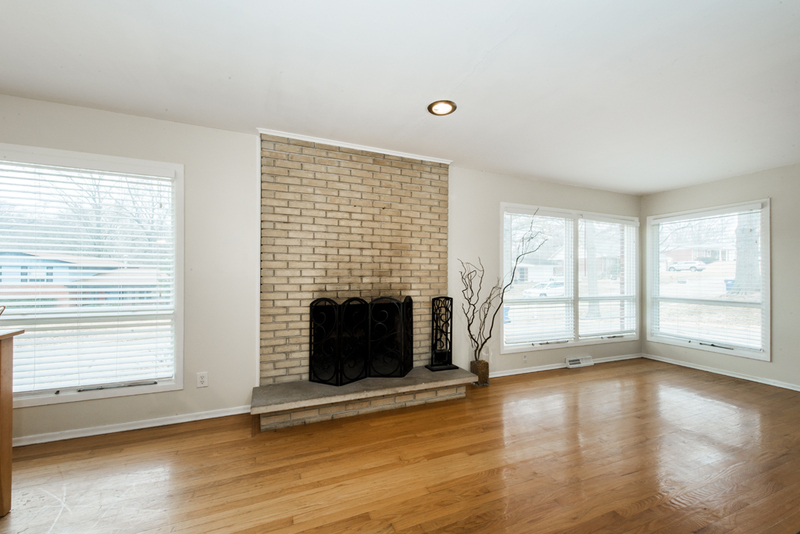 Here is the professional photo of the fireplace, taken horizontally and showing the surrounding hardwood floors and big windows. It is light, bright and visually more appealing. 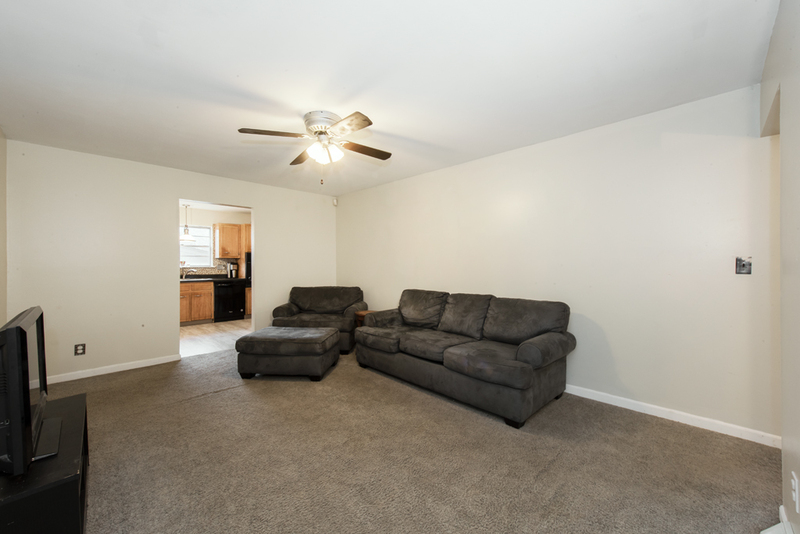 Here is the professional photo of the living room space. With all room lights turned on, window blinds opened and using professional lighting, the room looks so much different. The photographer used perspective and appropriate angles to get the entire room in the photo to show how spacious it is, rather than cutting off the room with a close-up. 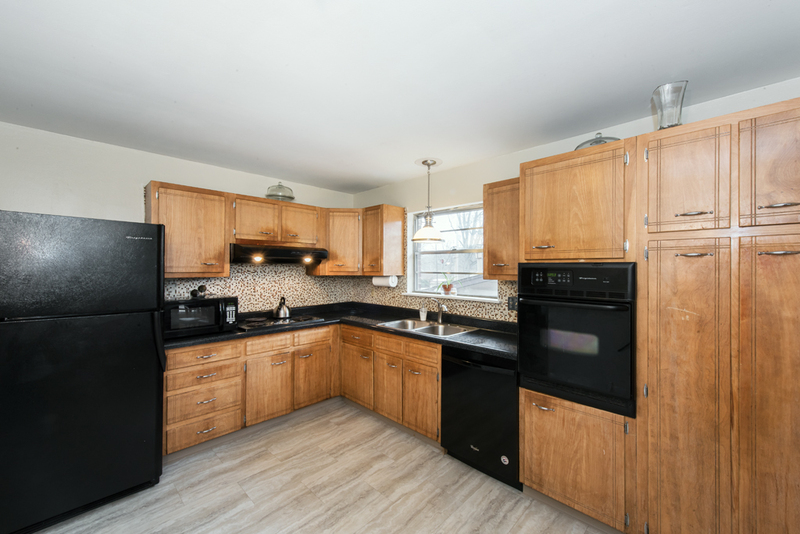 These are the professional photos of the kitchen. 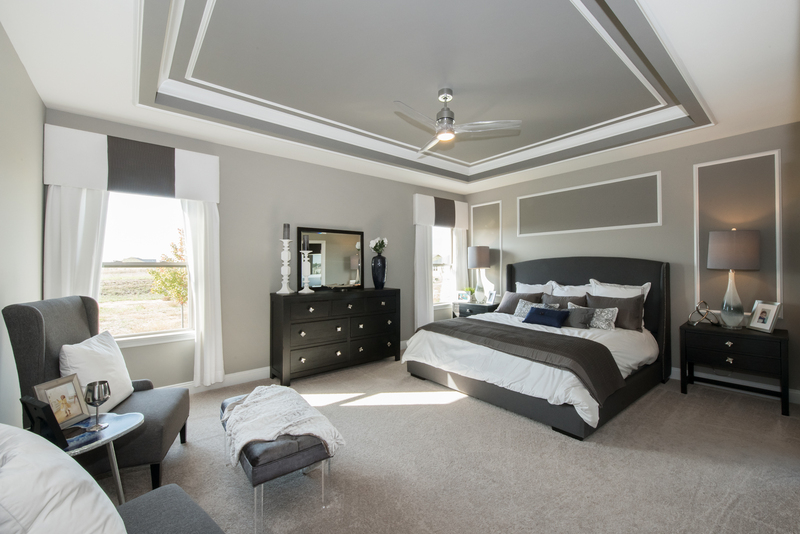 We stage every room to make it look clean and sleek. 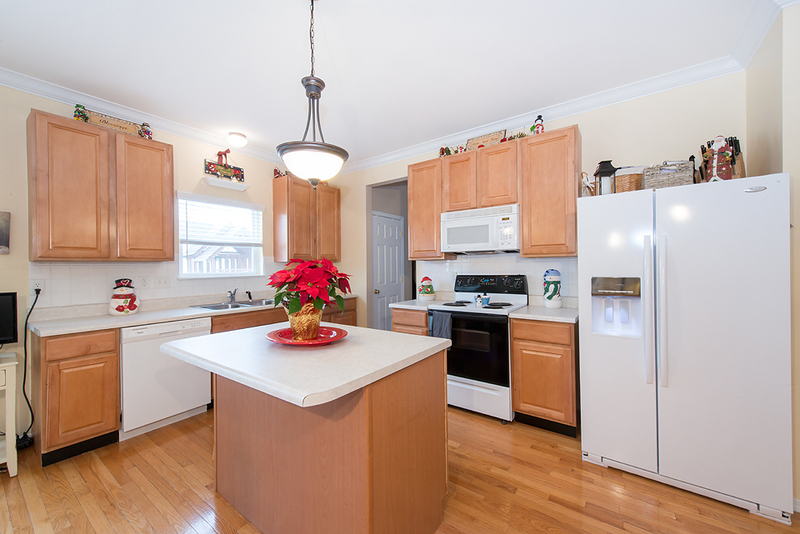 We remove almost everything from kitchen and bathroom counters and clear the refrigerator door and sides. Adding lighting and a better angle makes a huge difference in the photos. 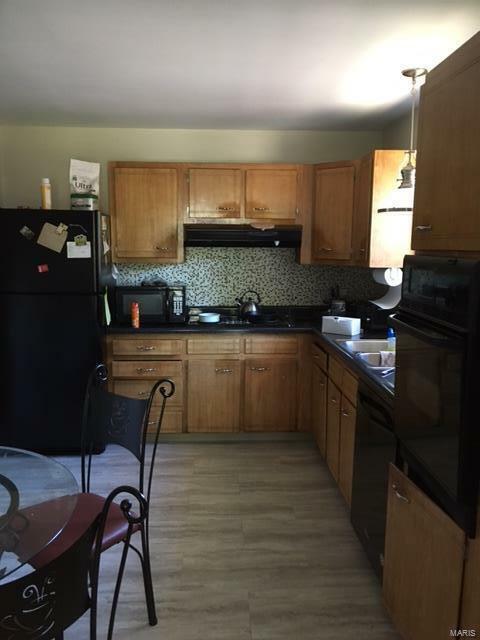 The original photo cut off almost half of the cabinets and you couldn't even tell there was room for a table. The family room photo. Without adding any props or accessories, just the very few original items the owner had in the room, it still looks far more inviting using the room's lights and professional lighting. 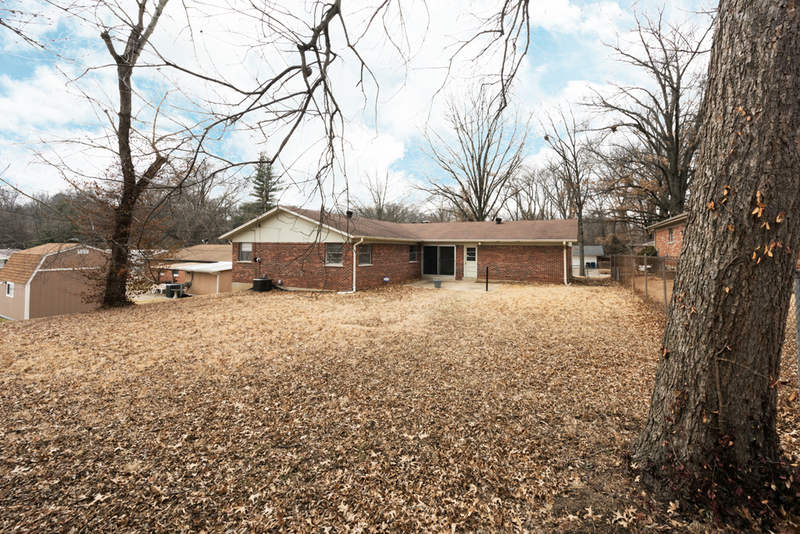 This home has a big and level back yard, which the photographer enhanced by shooting as close to the back property line as possible. And there is never a gloomy day when using a professional photographer, as they can replace an overcast or menacing sky with one that is bright and sunny! 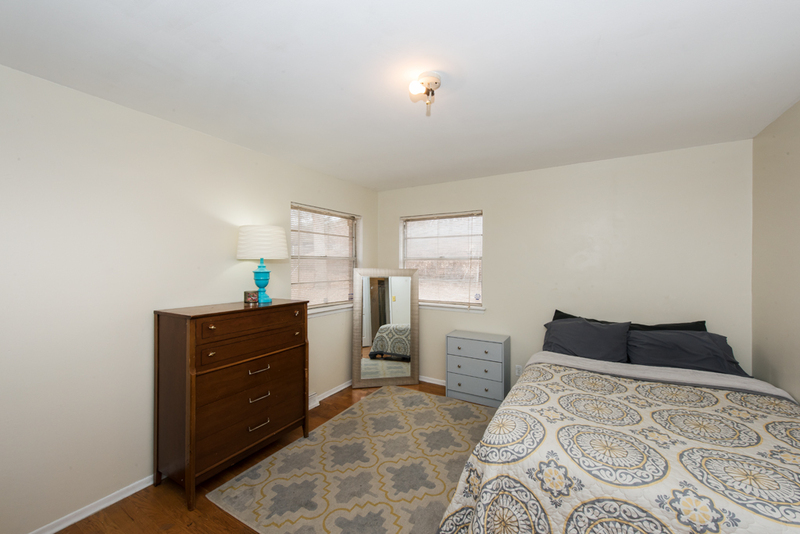 This is the lovely master bedroom with an attached private bathroom. Buyers would want to see this to understand the space in the bedrooms. This is a photo of one of the secondary bedrooms. 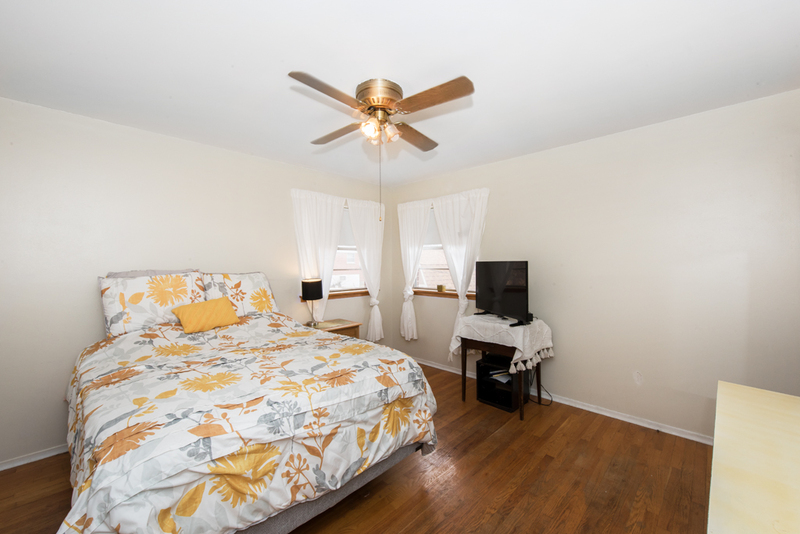 The generously sized bedrooms with hardwood floors are a great selling feature of this home. This is a photo of the updated bathroom. 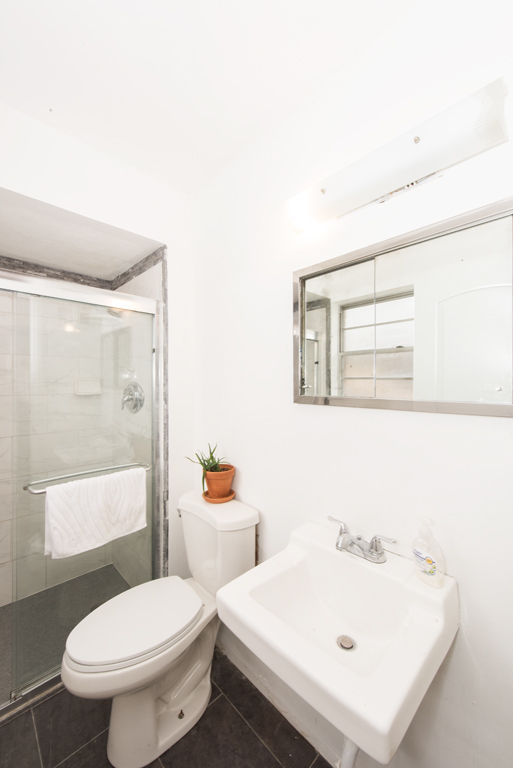 With this lovely tile work and great shower, it is a positive aspect of the home that will attract buyers. So here's what's really important...the result. 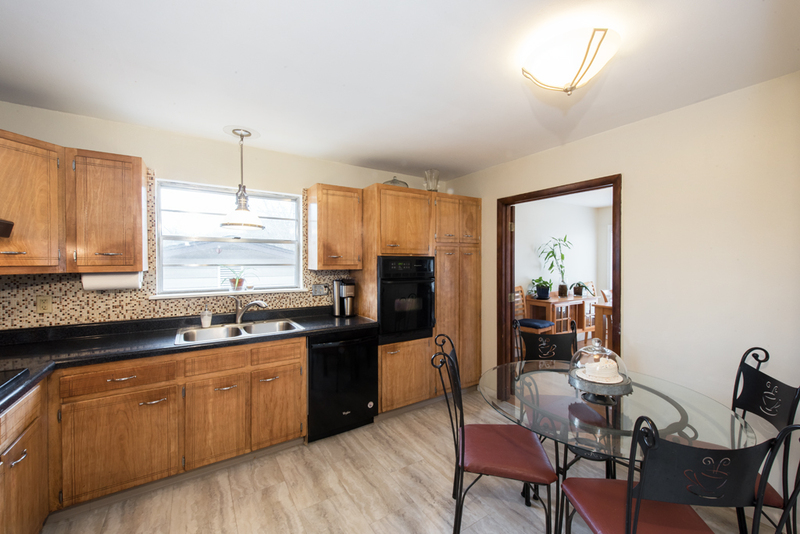 This home was listed with the previous agent for $118,000. After researching comparable homes and the current market, Chad felt a more appropriate list price was $125,000...$7,000 more than the original list price! Our team listed this home on a Thursday and scheduled an open house on Sunday. 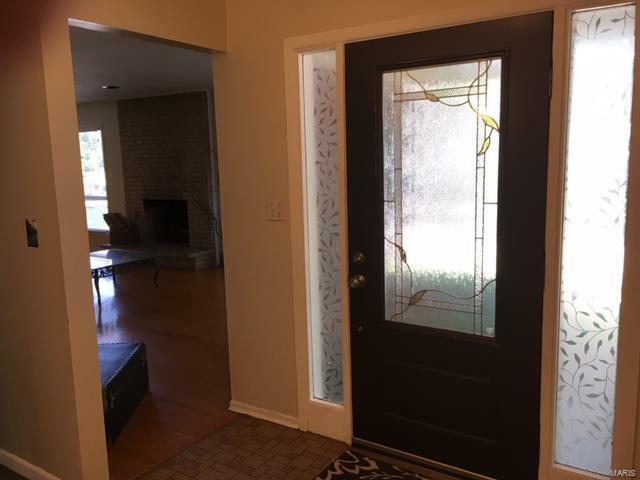 On Friday, the first day of showings, the home was basically a revolving door of buyers seeing the home, and one of them wrote a contract to purchase! After negotiation, an offer was accepted for the full asking price of $125,000...after only 3 days on the market! The moral of the story...it pays to spend money for professional photography for every home we sell. No matter the price point of the home, we provide this service as part of the package we offer to our home sellers at no additional cost. 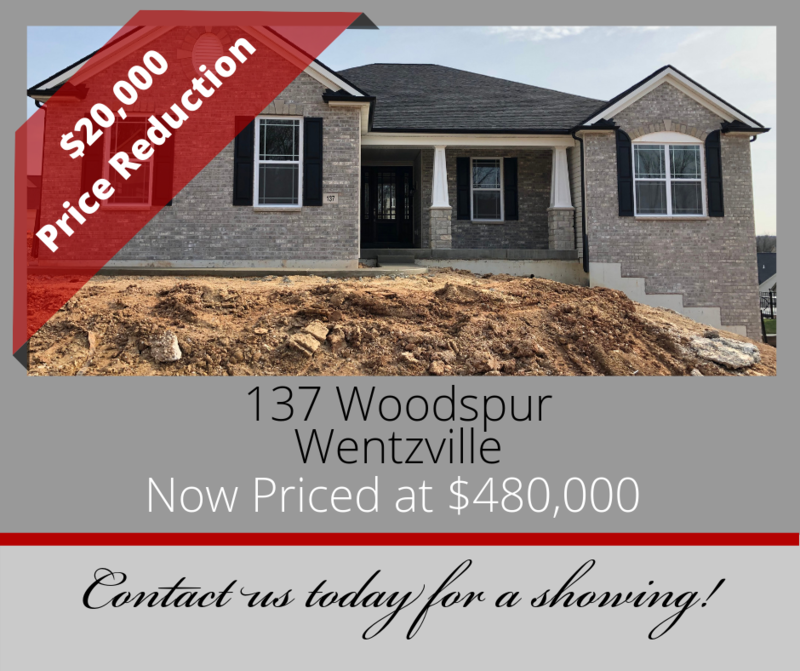 If you have a home for sale in Wentzville, O'Fallon, Lake St Louis, St Peters or any other community in St Charles County or St Louis County, don't settle for less than the best services available. The online presence of your home is too important to take chances. Only use a Realtor who provides professional photography as part of the sale. Professional Photography: Worth the Cost? According to research performed by the NAR (National Association of Realtors®), of all people looking to buy a home in 2018, Millennials make up the largest group at 36%. For Millennials, born 1981-1996, using the internet to shop for anything they are looking to purchase is natural. They buy clothes, shop for groceries and household items, and research and purchase electronics and computers from online companies rather than shopping in a store. For big ticket items, like cars, they spend a great deal of time online looking at features and options, comparing prices, and reading reviews before stepping foot on a dealer’s lot. So why should buying a home be any different for them? It’s not. For Realtors® and home sellers, including homes for sale in Wentzville, Lake St. Louis, O’Fallon, and other municipalities in St Charles County, gone are the days of installing a sign in the yard and expecting to find a buyer. Extensive and wide-spread online promotion is vital to capturing the attention of today’s buyers. And many buyers won’t spend a great deal of time combing through listings and pictures. Experts have coined the term the “Tinder Effect” to describe the habit of Millennials of rejecting something after a quick first impression and little information. One of the most important things home sellers and Realtors® can do is to make sure the home’s online presence is stellar. Using a professional photographer is key to that first impression. That is why The Chad Wilson Group uses only professional photography for all of its listings as part of our full-service listing, at no additional cost to the seller. Our team works with two photographers almost exclusively to photograph all of our listings; we consider them part of our team. Our exclusive relationship with our photographers is important because they are so familiar with our expectations for quality. Here is a little more about them. Pearl Wilson of That Girl Pearl Photography has been professionally photographing for 7 years. She earned a Bachelor’s Degree in Studio Art with an emphasis in Graphic Design and Photography from UMKC. 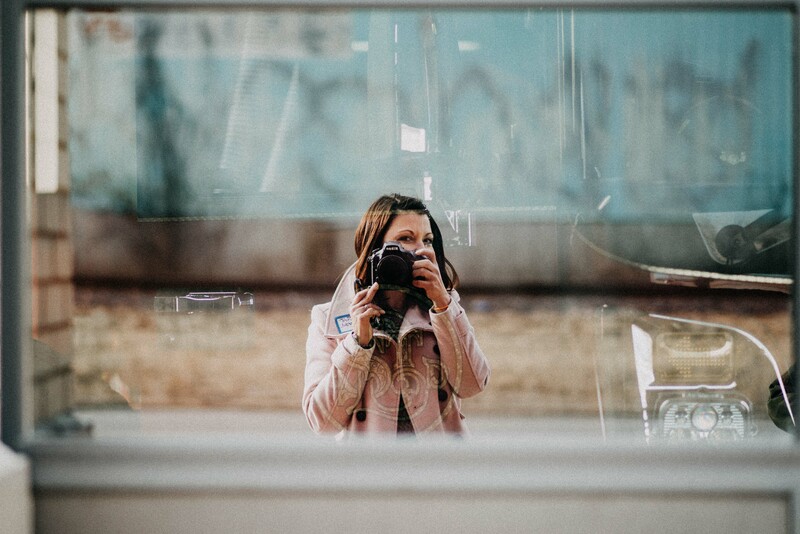 After working in advertising for some time, she branched out on her own, and has a very busy photography business shooting not only homes for The Chad Wilson Group, but also weddings, families and children, among other things. Pearl also designs all of the professional flyers and promotional materials The Chad Wilson Group uses to sell homes. With her background in design, she has an eye for presentation. “I enjoy helping home owners understand how a room will look best in a photo, to enhance the feel and size of the room,” said Pearl. “When I photograph a home, it is far more than just taking the pictures. I tour the home with the sellers to hear their thoughts on what they love about their home. 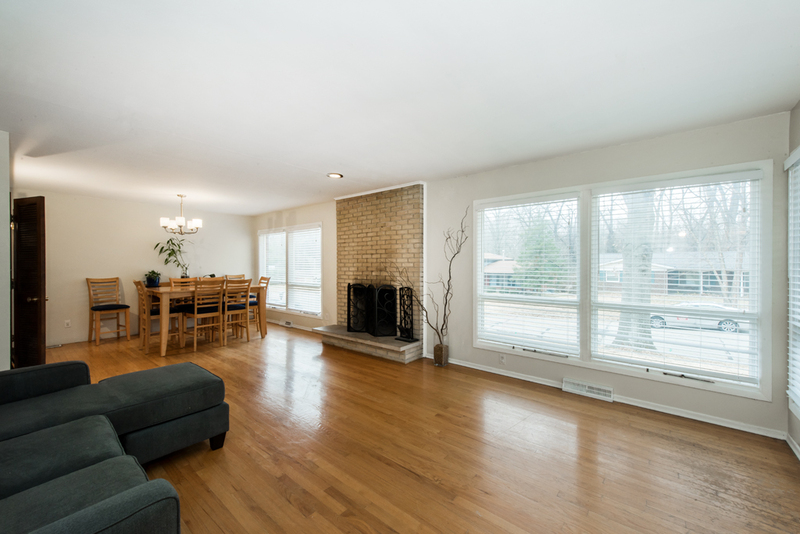 Then I try to use the best angles, professional lighting and furniture placement to optimize those features.” Pearl has photographed hundreds of homes over the past 7 years, and her experience is a great asset to home sellers. 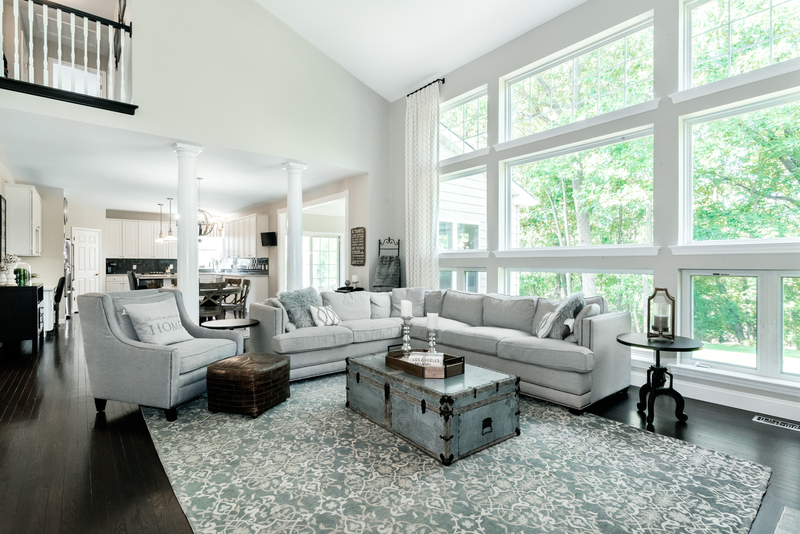 In addition to working for The Chad Wilson Group, Pearl is the photographer for Lombardo Homes in St Louis and photographs all of the homes they build. When Pearl became too busy to handle all of the work The Chad Wilson Group had for her, the team sought another talented photographer to expand. 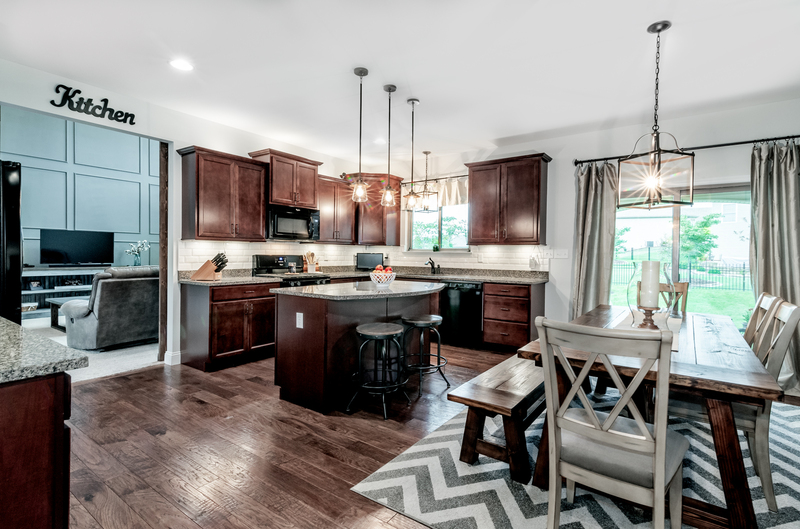 Three years ago, Whitney McAlister of Whitney McAlister Photography hired The Chad Wilson Group to help her family sell their home and build a new construction home. The timing couldn’t have been better, as Whitney’s home photos made it clear she was a passionate and talented artist. Whitney had been a Registered Nurse for 10 years and was dedicated to helping people. She was able to expand her side gig to a full-time business and photographs homes as well as families, children and newborns, among other things. Whitney and Pearl use the same professional camera and lighting equipment and are friends who love to mentor each other to grow and improve their technique. In the next blog post, we will share some before and after photos of a recent home sold by The Chad Wilson Group where Pearl’s professional photography made a remarkable difference, and the outcome was shocking! Stay tuned!